MELBOURNE–World number one Rafa Nadal, who is struggling to get any match practice before the Australian Open, will play an exhibition event at Melbourne Park in the week leading up to the season opening grand slam, organizers said on Monday. The 31-year-old Spaniard has not played since he withdrew from the season-ending World Tour Finals in London in November with a knee injury. He had already withdrawn from an exhibition tournament in Abu Dhabi, this week’s Brisbane International and another event in Sydney, citing a lack of time to properly prepare. However, the 16-times grand slam winner will be part of the winner-takes all Tie Break Tens event at Melbourne Park on Jan. 10, five days before the Australian Open begins. 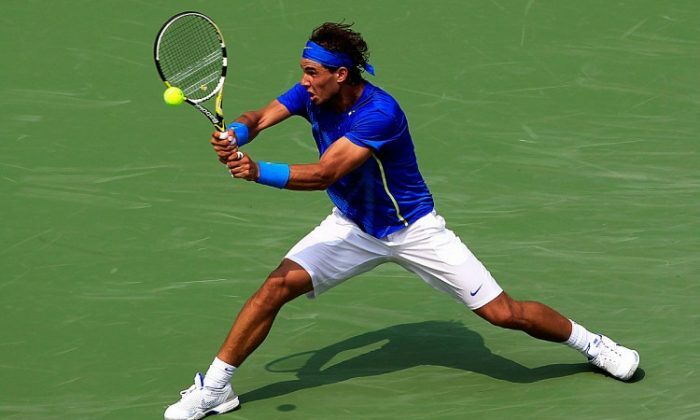 “Tie Break Tens is a great concept and we will see and play some exciting matches,” Nadal said in a statement. The eight-man field includes Novak Djokovic, three-time grand slam winner Stan Wawrinka, Australia’s Nick Kyrgios, and former world number one Lleyton Hewitt. Each match is comprised solely of super tie breaks to 10 points. The knockout tournament provides a winner take-all purse of $250,000. “It really will be an intriguing contest,” Australian Open Tournament Director Craig Tiley said. “These guys are all coming in at different stages of their preparation, but once their competitive instincts kick in, which will be almost instant in this format, there will be some absorbing contests.